Thursday, Feb. 1, at 1 p.m. there will be a drawing for a free lunch compliments of Blue Dog Inn. People may register at the Oasis during each visit. 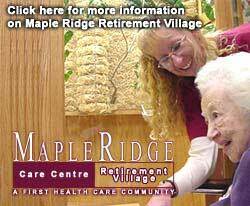 Also on Thursday afternoon, bingo will be sponsored by Maple Ridge. They will furnish prizes and refreshments. At 2 p.m., the Health Insurance Program (SHIP) will be conducted by Marilyn Knecht. Please call to preregister. Friday, Feb. 2, Easter Bunny Craft Class will begin at 9 a.m. The class is taught by Ann LaForge. Bring supplies. Other Friday activities remain the same. Sunday evening activities begin at 6 p.m.
Monday at 12:30 p.m. is bridge. Tuesday from 9 a.m. to 4 p.m. a representative from the Veterans Administration will be present to answer questions. No appointment is necessary. These services are available to veterans and their families of all ages. There is also a representative available from 9 to 11 a.m. from the Department of Rehabilitation Services. These services are for people of any age. Volunteer members of the Oasis are needed to help with bingo on Tuesday evenings at the Lincoln Recreation Center. Please contact the Oasis for more information. Free hearing screenings will be available at the Oasis on Wednesday, Feb. 7, from 1 to 3 p.m. Please contact the front desk at 732-6132 for an appointment. Circuit Breaker information and assistance is available by contacting the Oasis at 732-6132 or 732-5844. Appointments are being scheduled in Lincoln, with times available each Monday between 9 a.m. and 3 p.m.
Reservations are also being taken for a Par-A-Dice trip on Wednesday, Feb. 14. The $5 cost includes transportation and buffet. Please reserve your spots in advance. State Farm Insurance will be donating computers to the Oasis at 11 a.m. on Friday, Feb. 2. One of the Oasis’ present computers is being donated to the Safe House program in Lincoln. The new computers will enhance the classes being given each Friday from 10 to 11 a.m. (beginners class) and 11 a.m. to noon (advanced class). Please contact the Oasis to preregister for these classes. If someone wanted to give you $15, a little more or less, every month, would you take it? Maybe, depends? Well, let’s see, $15 x 12 = $180 per year. Now we’re talking. How do I get that, you say? Well, that’s the amount you will save by buying some of your basic groceries through the local Share program. The price break is achieved by buying food in bulk. "When we all pool our money, we can get a better price," says John Sutton, local Share coordinator. Volunteers drive to western Illinois and as far east as Terre Haute, Ind., for food purchases and pickups. Peoria is the central clearinghouse. The Peoria Catholic Diocese serves as coordinator of Share in central Illinois. "Share is open to anyone who wants to plunk down their money and perform some community service," says Sutton. Community service constitutes just about any activity you would do for someone else, from praying for someone to taking someone to the hospital — anything to help out your fellow man. Participants pay only $15 per month. From that total, $14 is used to buy the food, and $1 is for transportation costs. Last month’s food had an equal value of $28.05 at the grocery store. It is composed of the same basic everyday kinds of foods. The food that has been purchased is divided equally, with everyone getting exactly the same thing. Anyone wanting to see if it is something they would benefit from is welcome to come by and have a look while the pickup is going on. It’s a good deal if it is food you would ordinarily buy anyway. It’s essentially half the price. Share food pickups are once a month. This month’s pickup is this afternoon from 4 to 5:30 at St. John United Church of Christ. Sutton invites you to "come have a look." You can sign up for next month’s pickup if it suits you. He and the other volunteers would like to see lots more people take advantage of this opportunity. There’s plenty of room for this program to grow. Calendars with pickup dates marked on them will be distributed at this afternoon’s pickup. An initial training session to become a volunteer advocate and protect residents' rights in long-term care facilities is scheduled for Wednesday, Jan. 31, from 9:30 a.m. to 2:30 p.m. at the Lincoln Public Library, 725 Pekin St. The advocate training is provided by I Care, a long-term care ombudsman program. Inform residents of their rights. Resolve any concerns or complaints residents may have. Empower residents to take action on their own behalf. Lunch will be provided for prospective advocates in attendance. Attend the training and then decide if you would like to volunteer. Please confirm your attendance by Jan. 29 by contacting Erin Strotheide at (800) 842-8538. The Logan County 4-H Foundation will have their third annual spaghetti dinner from 11 a.m. until 2 p.m. on Sunday, Feb. 4, at the Lincoln K of C's Club. The all-you-can-eat meal includes spaghetti, salad, garlic bread and a variety of desserts. Carryouts will be available. There will also be a 50/50 drawing and raffle to support the 4-H. The Daughters of the American Revolution Salt Creek Prairie Chapter of Mason City will be about its business during the upcoming months. NSDAR Illinois Division V Director Mrs. Charles Taft will meet with the group on Saturday, Jan. 27, as they honor Illini Central Students receiving DAR awards. The meeting will be a one o'clock luncheon at Steve's Family Restaurant, Route 29 and Route 10 in Mason City. Saturday, Feb. 24, the chapter will again use the facilities at Steve's for their February meeting, which must be moved from Easton Methodist Church due to remodeling. The one o'clock luncheon will be followed by guest William Hazard speaking on "Family Histories and Genealogies." NSDAR Illinois State Convention will be March 22, 23, 24 and 25 at the Renaissance in Springfield. Salt Creek Prairie Chapter delegates will be attending National Defense Night on March 23. USN Vice Admiral R. Thunman, submarine force commander, Pacific Fleet, will be the keynote speaker. The 144th Illinois National Guard band will perform patriotic and military music. The gala state banquet on Sat., March 24, and the chapter recognition and awards brunch on Sunday, March 25, will also be scheduled events for the Salt Creek Prairie Chapter delegates. The Mason City Historical Society gears up for another exciting year of programs, exhibits and excitement. The first business meeting for the year 2001 was at 7 p.m. Thursday, Jan. 25, in the Civic Center Museum. Approval of the slate of officers and budget for the new year was on the agenda. Preparations are still under way for opening of the museum's literary exhibit, featuring local writers of poetry, short stories, music and more. Of most recent interest is the newly published book by Jessie Johnson Young and amusic cassette release by The Prairie Aires. The gift department of the museum plans to have these new releases available for purchase by the public. David W. Tomlin II, museum director, is excited to be showing the works of local artists in this year's rotating exhibits, including the literary works, textiles, photography, woodworking, hunt-art and more. Museum hours at 120 N. Main will be weekends only. As usual the historical society calendar is a highly sought after item. The society will again depend on loaned photos to compile this demand item. Begin now to set aside Mason City photos you would like to see in the 2002 calendar, which must meet earlier print deadlines each year. Those looking for a trip down Mason City memory lane can still find 2001 calendars at City Hall, the museum and Mason City Pharmacy. Some pre-2001 editions are still available at the museum for individuals seeking keepsakes. Mason City Historical Society also stocks a limited supply of the town afghan for special gifts any time of the year. "Save a Site" continues to be an ongoing project for Mason City Historical Society. The Soldier's Monument in Memorial Park is the current site of preference. Once preservation and rededication of this site is completed, the society will select another neglected town site deserving preservation. To date the Soldier's Monument has a newly carved Civil War statue, new walk surrounding it and 240 tulip bulbs planted. Estimates to recarve the original 184 Civil War soldier's names and other engravings in the marble structure, a base replacement, wrought iron fence for the monument and the soldier, plus other incidentals are completed and funding is now being sought. Donations to "Save A Site" may be sent to Melanie Gordon, treasurer, 407 N. Main, Mason City, IL 62664. The Saturday night Civil War Ball is being planned once again also. Those attending in period dress will be admitted free. A costuming merchant is being solicited to set up shop in Mason City weeks in advance of the event. It is hoped that the shop will feature new, exchange or remake services. Also available will be the local seamstresses who helped last year. If you think you can't dance and want to learn more about period steps, free lessons will run for six weeks preceding the Civil War Ball. A memorial service at the monument will be Sunday, May 27, with a march to the cemetery, as was done last year. As always, this kind of festival takes many volunteers as well as attendees. The Mason City Historical Society believes that the events will be fun and of great interest. The purpose of the Mason City Historical Society is to bring together people interested in history, especially the history of this small Midwestern town. This basic part of our democratic way of life gives us a better understanding of our state and nation and helps us to better appreciate our American heritage.